BAE Systems has awarded Burns & McDonnell a contract to design and construct a steam boiler facility that will replace a coal-fired plant and support manufacturing activities at the Holston Army Ammunition Plant in Kingsport, Tenn. 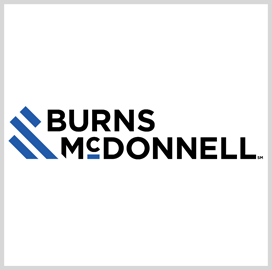 Under the engineer-procure-construct contract, Burns & McDonnell will help build a steam generation plant intended to produce 1M pounds of process steam per hour using natural gas sources, the company said Thursday. BAE, the HSAAP operating contractor, secured a $96.6M Army contract modification in late 2018 to construct the steam plant that will use ultra-low sulfur diesel fuel as a backup to power ordnance and munitions production activities there. Burns & McDonnell's Azco subsidiary will perform supporting work such as shop fabrication, structural steel construction, balance-of-plant services, steam generator/boiler installation and field installation of process and specialty alloy piping systems. The construction project is slated to begin later this year and conclude by summer 2021.